Neat essay on essayist Montaigne (with the appropriate hyper-link). Interesante ensayo sobre ensayos y los ensayos del ensayista Montaigne. One of my many Spanish photographer facebook “friends” has been oohing and awing the famous corset photograph by Horst P. Horst. He “found” the picture in some site and several of the other friends comment with verb-less one liners. To me it’s so trite and banal. I would rather be at a café with friends discussing the role of corsets and underwear in history and specifically in photography. Dr. Johnson’s dictionary defined an essay as “a loose sally of the mind, an irregular indigested piece.” Bacon’s compositions tend to drive a single conclusion, but Johnson’s “sally” is a nice fit for Montaigne’s meandering collection of thought and those of his more whimsical descendants. Montaigne, I further read, called his literary project “Essais,” meaning “attempts” or “trials” and the term caught on in English after Francis Bacon, the British philosopher and statesman, used it for his own collection of short pieces in 1597. Again I was delighted to realize that the word for essay in Spanish is ensayo and that an ensayo also means rehearsal, particularly theatrical and musical ones. To me it leads me to the realization that a diary, or in this case my bitácora (a ship’s log in Spanish and a beautiful word that has been replaced by the anglicized el blog) is my attempt at throwing my thoughts out there, a sort of hyperspace thought balloons in my search to meaning. It is a way of expressing suspicions, realizations, opinions and doubts, without any fear that any out there might refute them. My blog is almost like the classical diary that was never seen by anybody else. By almost I mean that my blog has no comments section. It is one sided much as Montaigne’s Essais. And it is personally one sided. As Montaigne wrote: I would rather be an expert on me than on Cicero. 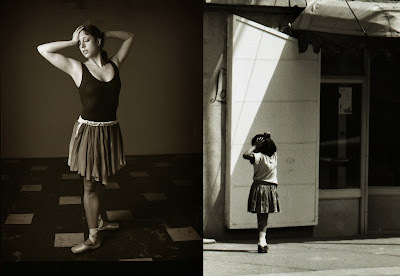 It is only about a week ago that I noticed the similarity of poses in two pictures I had taken in my past. One I took sometime in 1963 and the other in 2003. The first was a street grab shot, the second one that I took in my studio with all intention and with the crop precisely in my mind and in camera. If the two images were to someday make it to a gallery in a retrospective of a dead Vancouver photographer who was too commercial to be considered an artist and too artistic to be considered a good commercial photographer, some idiot critic would write stuff on the similarities of the juxtapositions. 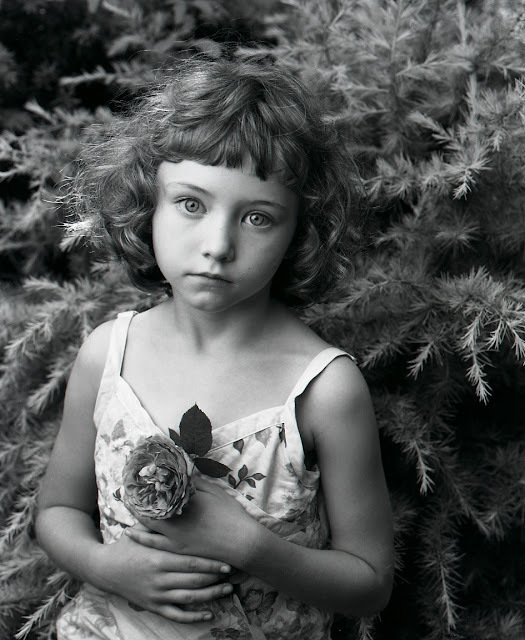 He or she might see in one of the images the budding of the photographer’s interest in portraying despair. This would culminate in images taken in 2003 of a woman who plays the part of the young girl who faced Degas and who, as she grew up, was pushed into prostitution by her mother. She may have lived a life that ended in despair. And of course the idiot critic would be writing a load of unadulterated male ungulate of the Aberdeen variety. In my youth I, like many of the generation that owned Practicas, Pentacons, Edixas and early Pentaxes (and all too poor to even think of buying a Leica or a Contax) walked the streets snapping pictures that attracted our fancy. In my case I was lucky enough to be in Mexico City or Veracruz and Buenos Aires and not Dubuque, Iowa. Even then I knew that my location was somewhat off the beaten path. It was a world not yet flickrd or facebooked. It was not a world in which any of the pictures we took ever did find a wall for viewing. Perhaps a few did, but then some of us were lucky. I chose to take the pictures I took because I saw in them some sort of tidy graphic order. It was an order of verticals and horizontals that somehow framed the roundness of the human figures that the verticals and horizontals framed. There was no thought of expressing existentialism and human alienation in any of these shots. They were simply snaps that I took for fun. The similarities of the two pictures sandwiched into apparent meaningfulness by Photoshop is purely accidental. Our granddaughters Rebecca and Lauren have a large support staff that sees to their needs. We the four grandparents (are they not lucky to have four live ones?) coddle and fuss and do what grandparents were designed to do and that is, to spoil. Tonight was the last dance of the year at Rebecca’s school. Rebecca is 13 and in the 8th grade and generally boys her age are idiots. I remember when I was 13. I was certainly an idiot. 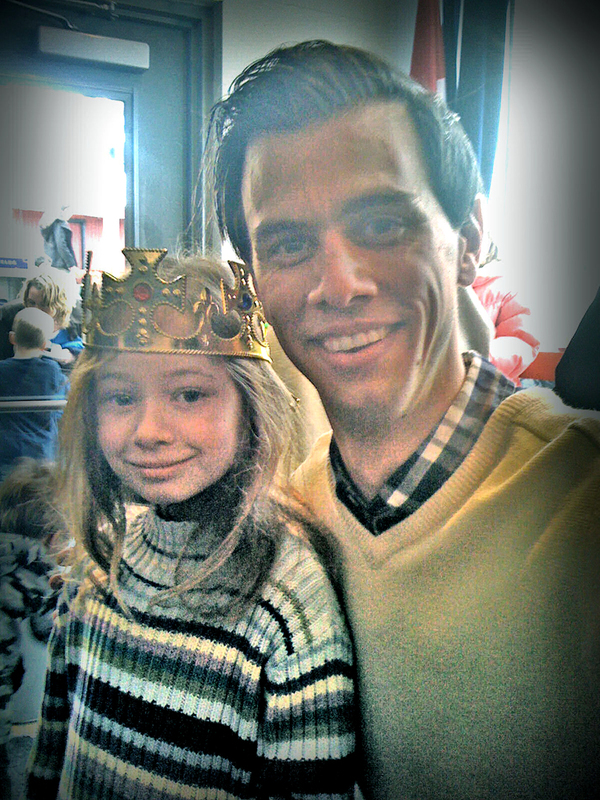 But then even though I was one, I still had a date with the loveliest girl in the school. Still I manged to waste it all with my idiocy. I was in the 8th grade in a two-room school house. In one room were the 8th, 7th and 6th grades. My mother was the teacher and I was in the 8th with five other boys. Ana María Ramos, a lively and beautiful (she had the largest, black almond-shaped eyes) she was love at first sight for me when my mother arrived at Nueva Rosita, Coahuila in Mexico. My mother had been hired by ASARCO (American Smelting & Refining Company) to teach the children of the engineers and doctors (Ana María’s father was the company doctor). In that class , I had to really be on my toes since my mother was not going to play favourites with her only son. She was extra hard on me. But I would still daydream and glance (when she was not looking) at the apparition that Ana María was. There was a school dance planned and lots were used to pick date and dance partners for it. Ana María came up to me and showed me a little piece of paper with my name on it. She told me, “I am your date.” I was flabbergasted and shocked and scared to death as I did not know how to dance. Whatever it is that happened at that dance, all I remember is that I was embarrassed. I know and remember no more. Yes, I was an idiot, but an idiot in simpler times. Times are really different and much scarier and I don’t think I could have handled school now with the aplomb of my granddaughter. She went from a smallish French immersion school to a large high school with hundreds of students in her 8th grade. Each class has different classmates so that it becomes more difficult to make friends or bond with them. It is all scattered and the school has cliques which are difficult to penetrate. 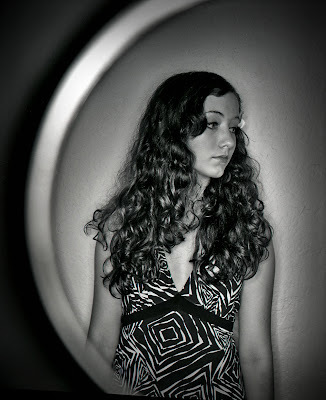 If you add to that the fact that my granddaughter has traveled a lot, she speaks three languages and knows the difference between a viola da gamba and a baroque cello and loves Erik Satie, you have a young girl who will intimidate the idiots (those hapless 13 year olds) even before they notice that she is graceful, beautiful and shapely. Back in my day, I took a train or walked a couple of blocks to school; my friends all lived with their parents. Their parents, as was normal in those days, both lived at home in the same house. There was none of that, “She is with her dad this month because it is his month. She will be staying with her mom the next.” My daughter has yet to find a friend who might just say to her, “Before I can go to the movies with you I have to ask my mothers.” Or it could also be, “I have to ask my fathers.” Certainly times have changed! Back in my day when I was Rebecca’s age I would go bowling across the street from where I lived with my mother the teacher at the American Hotel in Nueva Rosita. There were guards posted around the American compound that kept the “so-called-riff-raff” down in the town and away from any possible contact with we white folks. I did not know about crime and other stuff because I was not exposed to it. I was an idiot by ignorance. It has only been of late that I have come to know the meaning of play dates and the amount of pre-planning that is needed to permit two young girls to spend the night together in slumber. One parent has to contact the other who contacts the other who then calls back to say the day is the wrong day and it all begins again. Rebecca had planned for a couple of weeks in going with a friend to town to see the Justin Beiber documentary Never Say Never. Her friend chose to tell her father the day of the event and so it was all cancelled. Yours truly became Rebecca’s date for the movie. It was another school dance where a friend of my granddaughter’s had promised to lend her a dress and make her up. At the last moment the girl, a neighbour that is very close by, did not show up. For this dance the theme was the jungle. Rebecca’s parents immediately rejected my idea that she go in a Maureen O’Sullivan Jane outfit. I then suggested she go in a black dress with black ears and a tail and go as a black panther. Her dad suggested she wear jeans and black gloves and go as a Black Panther. All that was nixed when my granddaughter’s friend said she had a floral dress that was perfect. The day of the dance, today she did not show up. Rebecca’s group of friends informed her that they were not going to the dance. Perhaps the reason is that they are as shy as the boys or simply do not know how to dance. Rebecca cancelled her plans to go. We persuaded and persuaded and finally she found out that another two friends were indeed going so she changed her mind. I showed up today two hours before the dance. I had volunteered to take her with the proviso that I would wait outside until she told me that she was dancing. If she was going to end up being a wall flower I would have been outside to take her home. My daughter Hilary found a dress that was zebra-like so that solved the problem. Rebecca made herself up and when she came down she was lovely. She posed for me and Rosemary and I took her to the dance. It seems that the 13 year old boys still hug the walls and stare at the girls. Not one was brave enough to ask my Rebecca to dance. Rebecca and her girlfriends all danced together and had a great time. When will idiots learn? Some things have not changed since my time when I did not walk four miles to school. But then with the great technical advances of our time, boys routinely dump their potential girl friends by texting. Imagine that! My Alice LIke Dodgson's & Cameron's Too? The first question I answer with a varied response. It is no different from the question, “Which is your favourite rose in your garden?” It really depends on the season and even within the month, week or day. But the second question will always be the same. 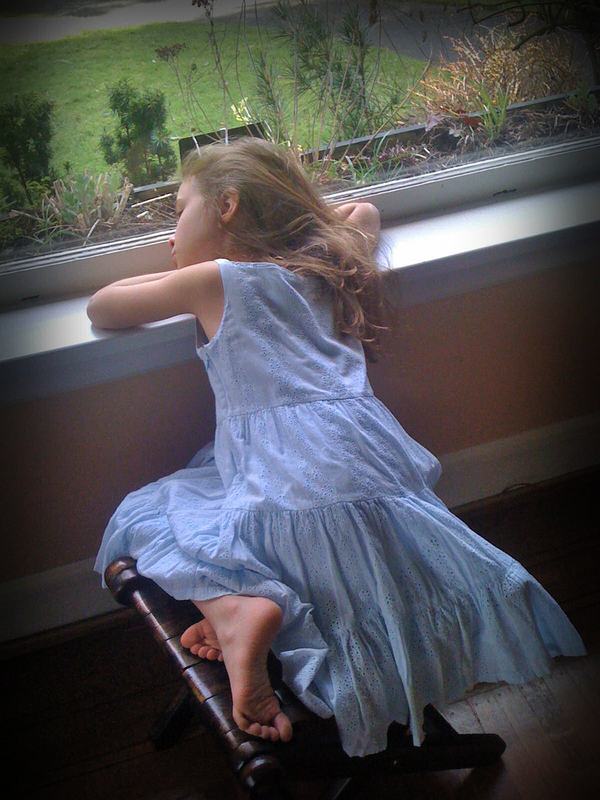 It is the picture I took of my granddaughter Rebecca on July 9, 2004. 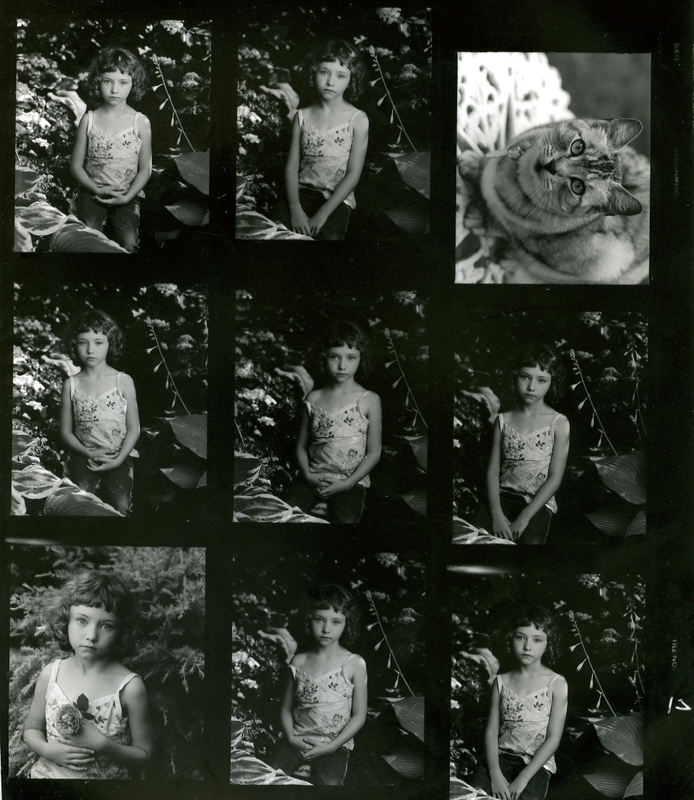 I took her to the garden and I used my Mamiya RB-67 with one roll of Kodak Plus-X in 220 (had I shot the whole roll there would have been 20 exposures.) I lit her with a 2x3 ft softbox fired by a Norman 200B. The purpose of the flash is to diminish the contrast on what really was a sunny day. In that year I was getting lots of flack not only from my wife but from all our relatives, including Rebecca’s on her father’s side. They all wondered why I never asked Rebecca to smile. I had never thought about it. It was just the way it was. But when I began to investigate I came up with an answer. I have been influenced in my style of photography by both Julia Margaret Cameron and the Reverend Charles Lutwidge Dodgson, both photographers of the 19th century. Both had photographed Alice Liddell (Cameron when Liddell was an adult, Dodgson when Liddell was a child). It was Dodgson who as Lewis Carroll transformed Alice Liddell into the Alice of his books. In none of the pictures of Alice Liddell was there ever one where she smiled. I liked the fact that the two Victorian photographers saw children as adults and never condescended to them. Somehow when I asked Rebecca to smile there was a falseness (just my impression) that I did not like. I have posted here the two contacts with the 13 exposures of Rebecca and one of my female cat Plata. The first exposure is top right and the last is bottom left in the second contact. It is plain to see that the picture that I like I only took one and had variations of the others. There is something in the picture that I like that makes me gaze at it when I wake up in the morning. It is close to my bed and all I need to do before I go to sleep is turn my head to the right and there she is all 16x20 inches in size. The print on the wall is one of two. Shortly before I printed the picture I found, buried under a pile of photographic paper boxes, one envelope of five 16x20 sheets of Agfa Portriga paper. The paper had been discontinued quite a time before 2004 so it was expired. The prints do not have a true white, it is creamy. I made four prints, two of the one you see here and two of another which I took at a different time in the middle of my rose bed. The fifth sheet of paper I cut up in strips to make test strips to print the four pictures.The print has a beautiful look to it that I cannot describe and the scan here does no justice to the actual print. Rebecca now refuses to pose by the spot because the Cedrus deodara ‘Snow Sprite’ (a true cedar) behind her is most prickly. I long to be alive so that I can play both Dodgson and Cameron. 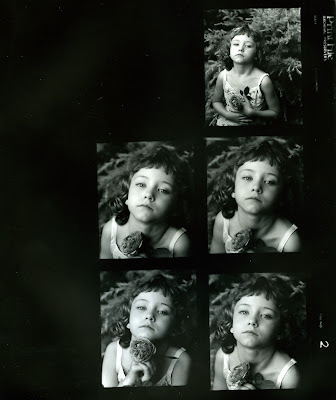 If that happens I will get to photograph my Alice as a child and as an adult. And I will not ask her to smile for that shot either. The chronology is as follows. The first picture is of my female cat Plata. Then you go down and to the next column, the third and from there to the second contact. The last picture taken is bottom left. The picture I ultimately chose was the ninth, bottom left of the first contact. Link to: My Alice LIke Dodgson's & Cameron's Too? This subject I have raised before in a couple of previous blogs through the years. But when I find myself empty of inspiration I like to look at some of the pictures that I have taken that seemed to be so right when I took them. Because they appeared to be so right they were very easy to do. In was sometime in early 2003 that I went to rehearsal of a Ballet BC program held at the Vancouver Dance Centre on Davie and Granville. I watched all the dancers I knew flex, bend and stretch. But then my eyes suddenly followed a ballerina who was walking like no ballerina I had ever seen before. I went up to her and introduced myself and asked about her. Her name was Sandrine Cassini and she was French. I enquired as to her training and she told me that she had danced with the Paris Opera Ballet! I became most excited promising myself to ask her in a near future, once I got to know her better about a project I had in mind that had occurred to me the instant I found out she had danced with Paris Opera Ballet. The graceful Cassini had something which I would simply define as presence and I was not the only to notice it. The then director of the Ballet BC, John Alleyne picked her for the principal role of the Alberta Ballet’s Carmen choreographed by its director Jean Grand- Maître which had its Vancouver premiere later that year in October. Cassini showed up in the studio and the project (I photographed her from different angles) took under 30 minutes it was that easy. Here is one of them and it is my favourite. I tell my photography students that it is important to master a technique (and perhaps a few more) so that when one is taking pictures the technical side of things is automatic and under one’s radar so that all the time is spent in the taking of the picture. Of course most of the time should be spent talking to one’s subject until all is ripe and ready for the picture. The picture taking should be easy and fun. Every time I ever faced Cassini it was just that, and a bit more if you can note the fire behind the expression on her face. For me it seemed that somehow she could go back to the 19th century and be Marie van Goethem or Prosper Merimmée’s Carmen. In the middle of Monday night it occurred to me that in Spanish I can retratar (to take a portrait or if I were thus inclined paint a portrait). A retrato in Spanish is a portrait be it a photograph, a painting or even a sketch. As in English it can also be an essay or a biography of a person (or even an animal or place). I wondered tonight why English does not have the verb and we must thus take a portrait or snap a portrait or paint a portrait, etc. We can also paint a likeness or take a likeness. But in English a transitive verb is lacking. (Del lat. retractāre, frec. de retrahĕre, retraer). 3. tr. imitar (‖ asemejarse). The word in Latin means to draw out or take back from (which explains why we must retract an insult!). 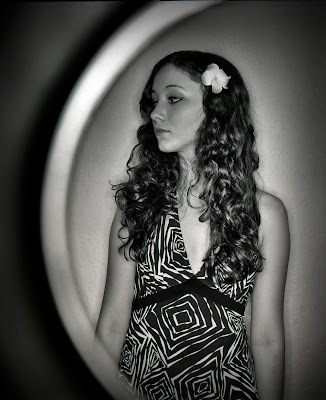 It means literally to take something from a person if we use to retratar (to take a portrait) in Spanish. To me it means that in order to withdraw something from a person it has to be taken with some sort of permission. For me the portrait has always been a two-way process. It is a process of cooperation. Sometimes for cooperation to happen you must waste film, or talk a lot, all in order to tire your portrait subject (victim, perhaps?). I will admit that there is merit to the snapshot, the portrait taken on the fly that is much in vogue now. This means that you grab an auto-focusing camera (a digital one) which fits comfortably in your hand and you spring it on somebody unawares at a party. These photographs fill monitor space in flickr (and yes if you look the word up on the net you will note it is in lower case). They are the norm and very popular. So are the ones popular with my granddaugher who loves to stick her cell phone in front of her and then snaps terrible distorted pictures of herself. The portrait, where someone sits (even if they stand) and pose and look into a camera and you give directions to move slightly to the left or right and to nod down a tad and then to be serious or smile is in a period of remission or withdrawal. It is literally retracting or retreating. Such posed portraits are now seen as stiff. Because they are posed, the person photographed is able to hide their true self. They are not caught unawares. They have time to put up the false front, to raise the shields. 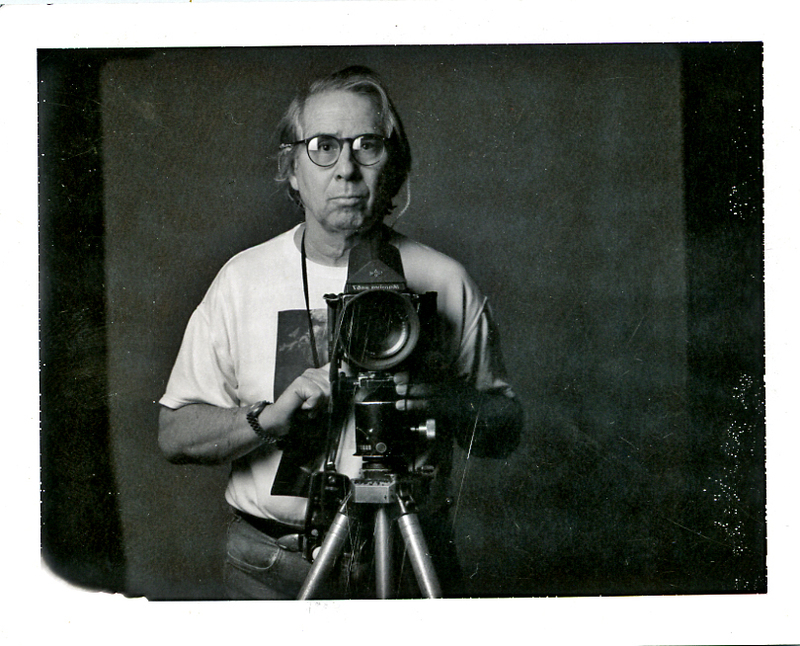 One of the biggest critics of this type of photography was my subject of a couple of days ago. Elliott Erwitt had nothing but scathing remarks when I asked him his opinion of Yousuf Karsh and of Annie Leibovitz. He would probably hate the portrait I took of him. There was one man (I can only remember a few) who really knew what I was doing and not only didn’t mind but rose to the occasion. 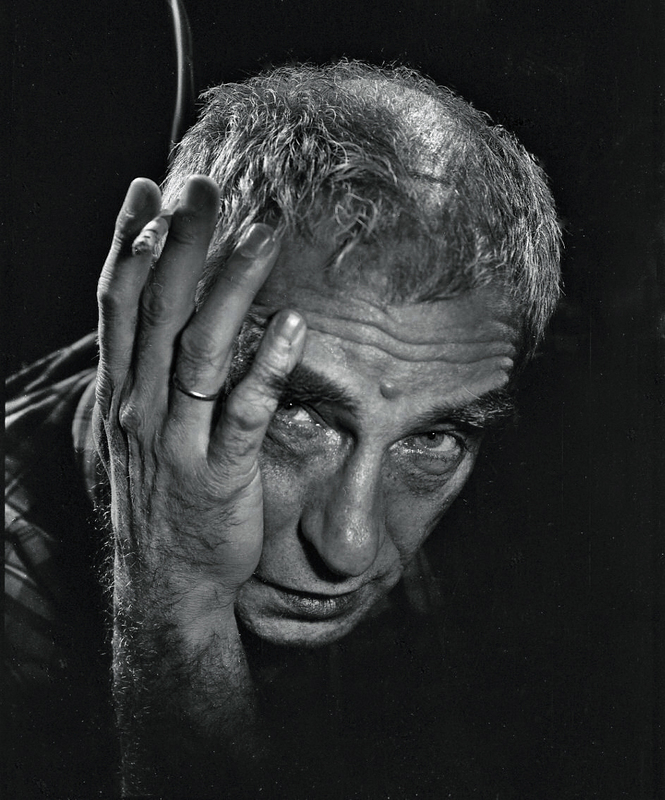 On October 1994 the Globe & Mail assigned me to photograph Polish director Krzysztof Kieslowski. He smoked like a chimney and did not look well. His attitude during his interview to arts writer Christopher Dafoe seemed to be of one who was accepting his fate. The fact is that he died a couple of years later during open heart surgery. The man was born only a year before I was. When I screwed on a deep green filter on to my Mamiya lens (which I must admit now I did not focus with care so this picture is decidedly unsharp) Kieslofski told me, “I worked in theatre and I know exactly what you are doing. You are going to make me look older, almost moribund.” And he then smiled at me. I took my shots. I like the shot even if it is unfashionable. It is not a snapshot and the man when he faced me gave me the look he thought I wanted which happened to coincide with what I wanted. Is it a true likeness? Are the pictures on flickr true likenesses? They are if you think that the snapshots of you make you look like you. But has anything of you been withdrawn? Have you drawn out something from that person you snapped? For years I have questioned children’s festivals. 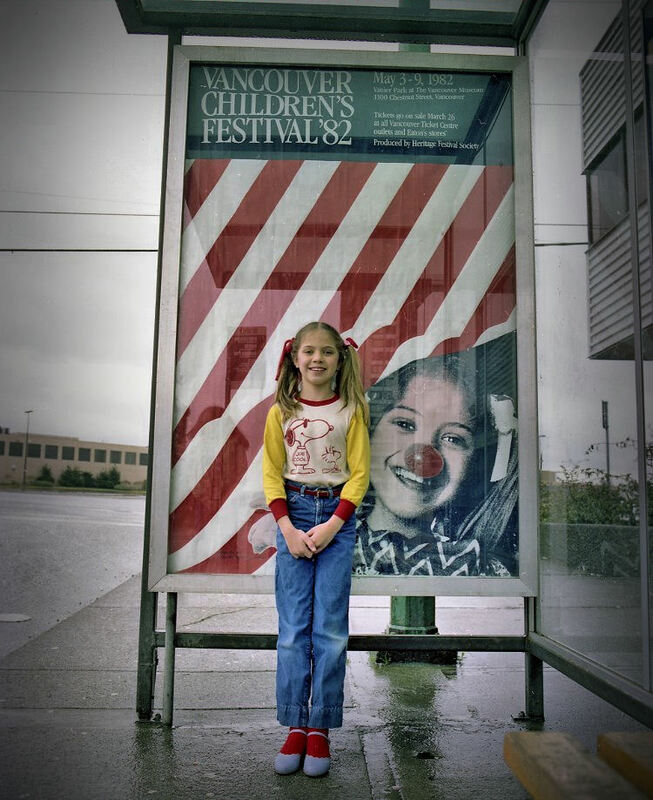 It was in 1982 that my daughter Hilary (Lauren’s mother, see left) posed for a poster for the Vancouver Children’s Festival. 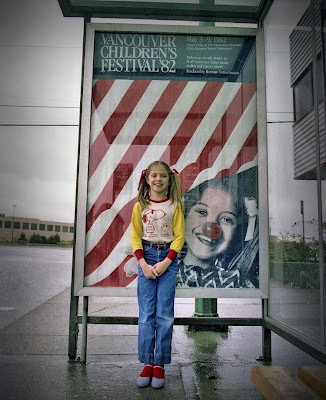 For laughs I photographed her by one of her posters in Burnaby. I have always thought that such festivals pandered to children and forced long suffering parents to take them to festivals that nobody would like and that parents in particular (and this one, even more in particular) would find to be cutesy and irrelevant. It was with that bothering me in the back of my mind that I cautiously took Lauren (8) to Saturday’s opening performance at the Waterfront Theatre of Carousel Theatre’s production of Munscha Mia. I knew I was in trouble when in a pre-performance talk a young lady asked us to fasten our seats for some Abba songs. But it was not to be. Or at least the Abba songs were past in short minutes or so it seemed to me. The singers and actors, Samantha Currie and Laura Jaye began to grow on me. The play following the plot of five of Pittsburgh-born but Canadian author Robert Munsch, delighted Lauren who proudly told me she had read all five books (in French!). I suspected this as every time I had to go to the main branch of the Vancouver Public Library my wife would give me a list (a long one) of the Munsch books in French that Lauren had already read. Since I had never read any of the Munsch books in English (my wife Rosemary read them to Lauren in French editions) I had no idea why Munsch is so popular. I soon found out in a segment that featured Samantha Currie (as Mia Maybeeh) in multiple versions of the lowly pony tale and the copy-cat jealousy she produced with her rival Laura Jaye (as Lotta Munscha). But it was the presence of Benjamin Elliott, who was listed as Ace and musical director (he played on a keyboard) who transformed the fine play into an exceptional one that did not pander to my adult sensibilities. Lauren was entertained and so was I. Benjamin Elliott’s changing-face-expressions in a lanky (at least 6ft) frame was a delight to my eyes as were his multiple impesonations of Mia Maybech’s mother. Something about his performance brought memories of performances by Ryan Beil who is probably Vancouver’s funniest virtuoso actor. I can see a lot of that in Elliott and I look forward to seeing him in other plays (and not all just for children [and!] adults) in a near future. Lauren and I left the Waterfront Theatre with contented smiles and I have begun to understand that there is indeed merit in plays dedicated for children. Some of the credit must be given to playwright Debbie Patterson and director Carole Higgins. Kudos to Carousel Theatre for helping me see the light.